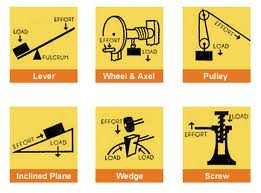 This term we are learning about inventions and six simple machines. The six simple machine are the wedge,the screw, the pulley,the wheel and axel, and the inclined plank and lever. We are going to make a timeline from 2000BCE to 2000 CE. We have been researching in the I.C.T. room and on the ipads inventions that have simple machines in them. We are going to make a poster on our favourite invention.